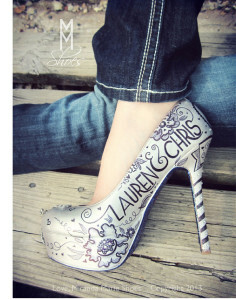 Hand Painted Wedding Shoes for the Bride! Mother of the Bride, would you like to bless your daughter with a super special touch to her bridal apparel? Well look no further. Have I got a fantastic idea for you. Help make your daughter’s big day especially memorable with hand painted wedding shoes! 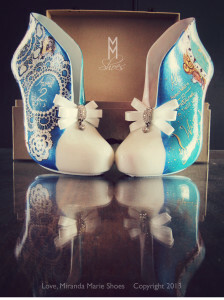 Love, Miranda Marie is a couture business that features high fashion, hand painted wedding shoes. It is owned and operated by Miranda Marie Storer and she will customize wedding shoes especially for your precious daughter, MOB. One of the photos below shows Miranda at work. 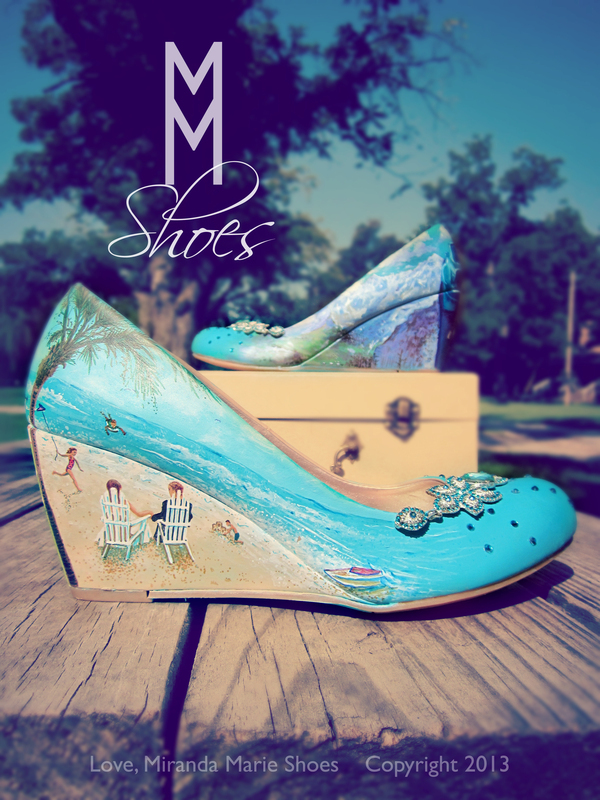 Miranda’s inspiration to begin painting wedding shoes sprang from her personal frustration in finding shoes for her own wedding. Everything she found seemed too bland. Several months later Love, Miranda Marie was born. Now brides can wear shoes designed especially for them. 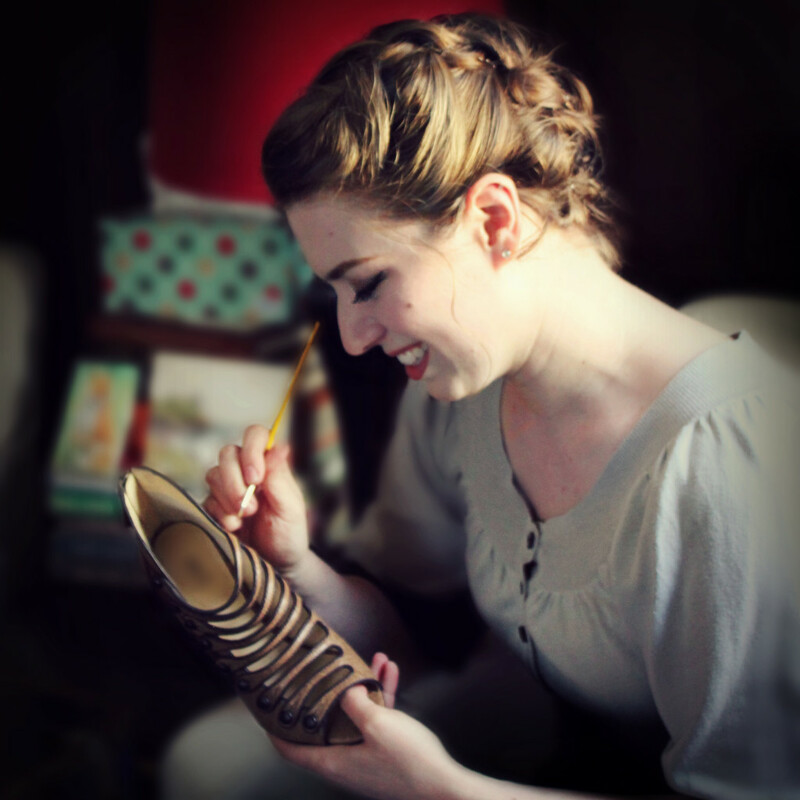 Miranda says, “I believe wedding shoes should be extremely special: an extension of the bride’s personality and the couple’s love!” She wants her shoes to bring glory to God—the one who gives her the talent to paint—and she also wants to show others that love and life are beautiful. 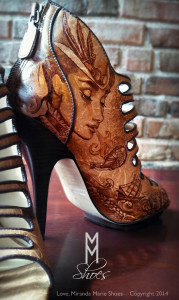 Miranda will customize shoes in any way that the bride—or anyone who wants a special pair of shoes—desires. She can include names, dates, portraits, and most any other designs the customer requests. You can see from the examples above and below that the possibilities are endless. You can see more examples and find out more about Love, Miranda Marie on Etsy, Facebook, and also on Miranda’s blog . So what are you waiting for, MOB? Check out Love, Miranda Marie today! *You might also like to read Cute Idea for the Bride—Shoes to Match the Bouquet, Rustic Wedding Bridal Shoes: Boots—What Else?, Shoe Clips: Dressing Up Shoes for the Wedding, Wedding Shoes Trend: Color Is In!, Bridal Shoes: The Cute Factor, and Wedding Shoes: Sneakers for the Party! I agree, Sheree! Thanks so much for stopping by! 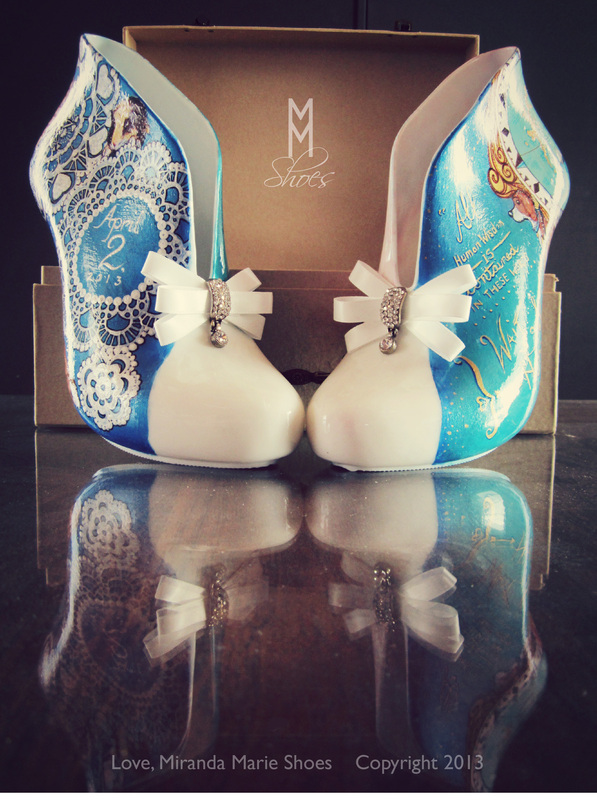 Thanks so much for writing such a lovely article about Miranda and her beautiful Custom Designed and Handpainted Bridal Shoes! A wonderful gift idea for Brides -To-Be! Miranda has definately been blessed with a tremendous talent…and so great that she uses it to bless others in such an awesome way. A Beautiful Keepsake for a Brides “Walk Down The Aisle”- on her Special Day! Thanks, Joyce – I was thrilled to feature Miranda’s talent and business here. I love to share great ideas like this!